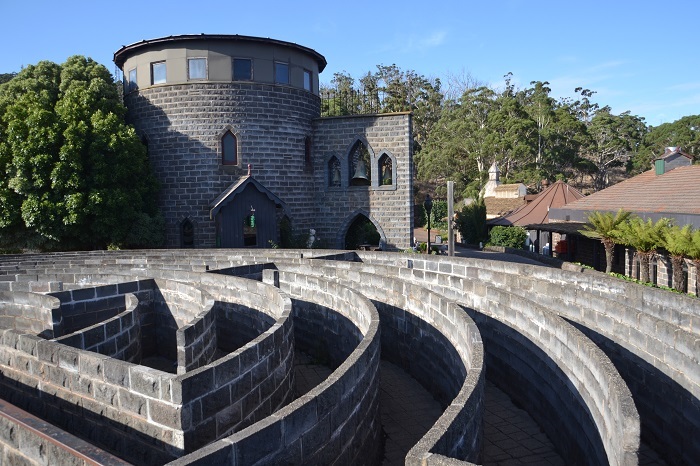 Discover Kryal Castle, the medieval Adventure Park in Ballarat, where myths, legends, and fairy tales come alive. 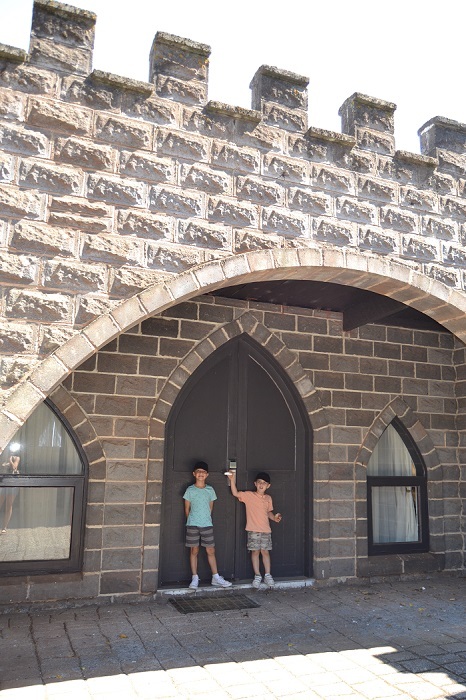 Kryal Castle is a fantastic day trip from Melbourne, or an adventurous weekend getaway for those who want to experience a night in a real castle! 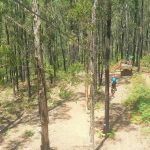 If you are looking for something different to your average adventure park, Kryal Castle will definitely open your eyes to a different world. When you drive up to the entrance of the castle it is nothing like you have ever seen. And as you cross the drawbridge, you enter a world filled with myth, magic, and fantasy, definitely a place you and your family will never forget. 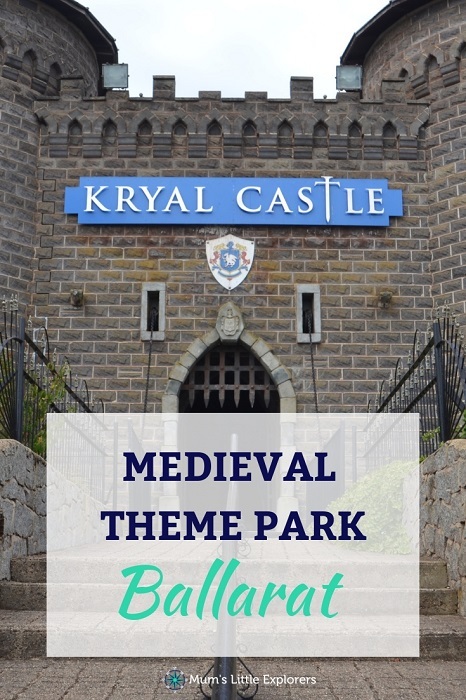 Let’s dive into what you can see and do at this Medieval theme park! 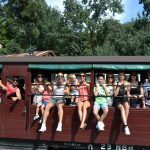 Whether you are spending the day, or staying overnight like we did, you will find many fun and exciting things to see and do at Kryal Castle. Here are some of our favs! By far one of the best things to do at Kryal Castle for our kids is the huge maze in the middle of the castle grounds. Get lost waving in and out of the maze and try and make it out as fast as you can! Our kids did this over and over again throughout the weekend. Learn how to make magical potions with the Kryal Castle Wizard. Using “dragon’s breath”, “swamp water”, and all types of other crazy ingredients, kids can create their own crazy concoctions which they can then drink up at the end. Challenge yourselves to the ancient art of archery, which in medieval times was an important skill for almost anyone to have. 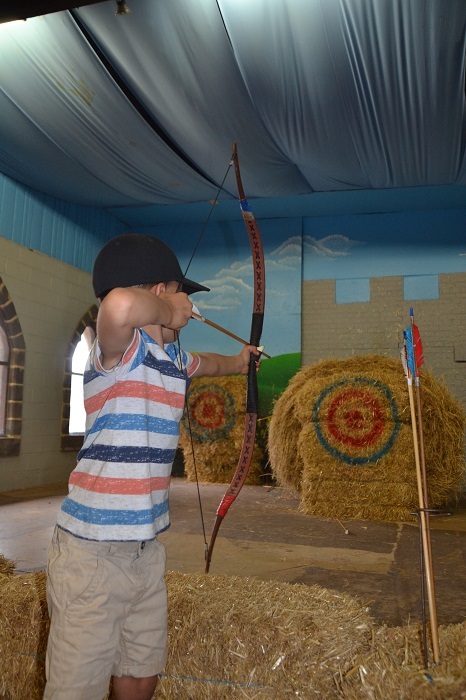 Armed with a bow and arrow, kids can challenge themselves to try to hit a bull’s eye! 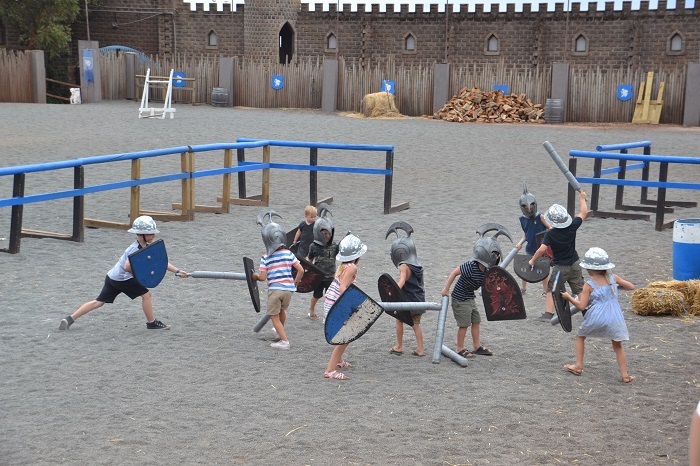 It isn’t every day that kids are given a helmet, sword and shield and thrown onto the arena with permission to fight each other! At knight school kids will learn the skills of knighthood, except with pretend weapons made of foam that can’t actually hurt anyone. A game of chess like no other. 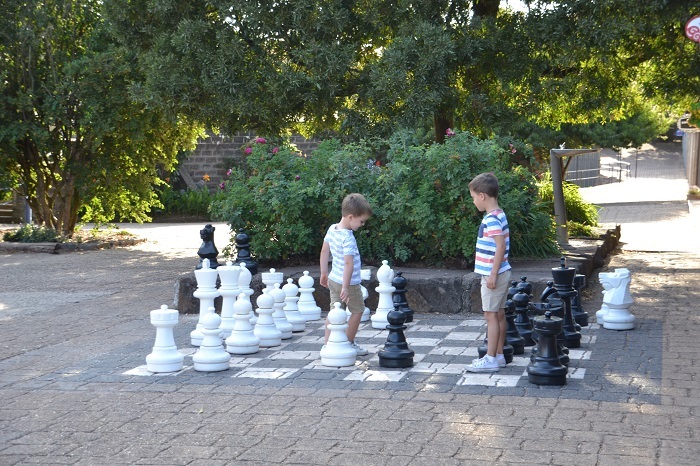 Walk around this giant chess game, lifting the gigantic pieces and strategically putting them in place to beat your partner. This medieval adventure park playground will keep the kids entertained for hours. 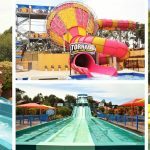 Sit back and have a coffee while the kids run wild running, climbing, sliding, and playing king or queen of the castle. In the castle arena the brave nights battle it out for the queen’s affection, challenging each other to a display of ring jousting and foot combat. Who will win the final battle? Watch and find out! These amazing actors really play the part well getting the audience involved and keeping everyone entertained. By far one of the best birthday parties we have attended was at Kryal Castle! What a totally unique experience for the kids and the adults! 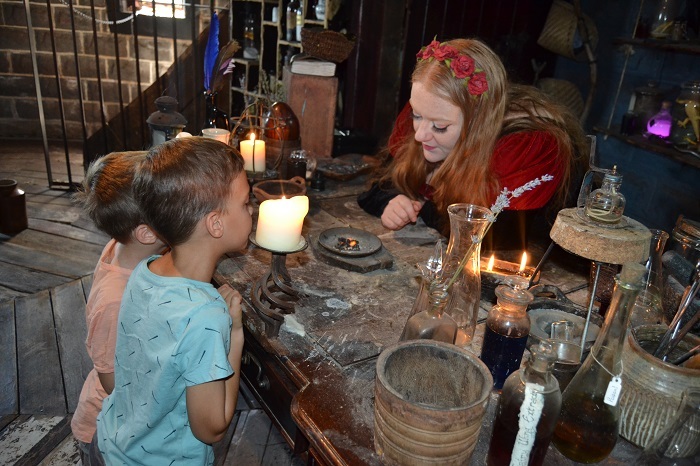 They get to explore Kryal Castle with their party host and participate in a variety of activities and have lunch altogether in one of the castle rooms. If you really want to experience Kryal Castle to the fullest, stay overnight in one of their amazing medieval castle suites which includes access to the medieval park after hours. 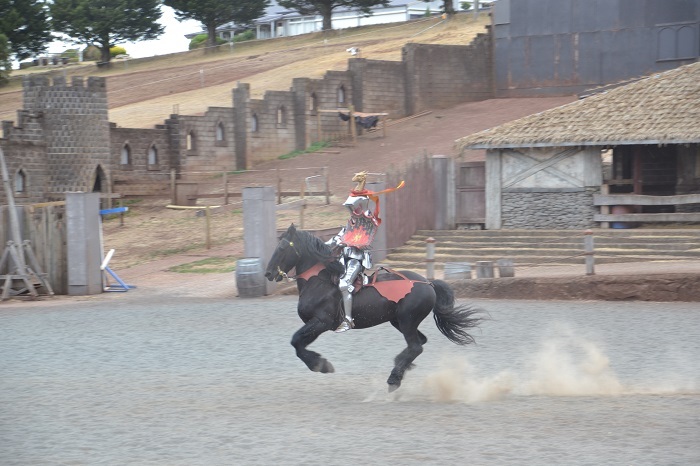 They offer suites for couples, families, and larger groups, and there are a range of dinner and show packages available which include accommodation in theme with the medieval attraction. We loved walking around the castle grounds after everyone had left as it felt like we had the place practically to ourselves! Sleeping in a castle was a real highlight for the kids and an experience they will never forget! Also Open Victorian School Holidays and Public Holidays except for Australia Day and Christmas Day. Note that some activities have an extra cost. Kryal Castle Suites are available for couples, families and groups. You can find more information and book HERE. 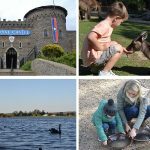 Kryal Castle is one of the main attractions for families in Ballarat. 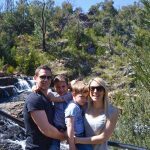 Make sure to check out our main post: Fun things to do in Ballarat. 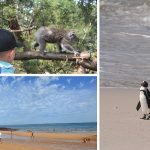 For more things to see and do around Melbourne follow Mum’s Little Explorers on FACEBOOK, and check out our Melbourne for Kids page. *Thank you to Kryal Castle for hosting us for the weekend, we had an amazing time. This article includes affiliate links but as always, all opinions are our own. You can read our full disclosure here.